Is the U.S. unemployment rate low due to increased hiring or an increasing number of people quitting the labour force? This is an interesting one, one of our three U.S. recession indicators is the U.S. unemployment rate. 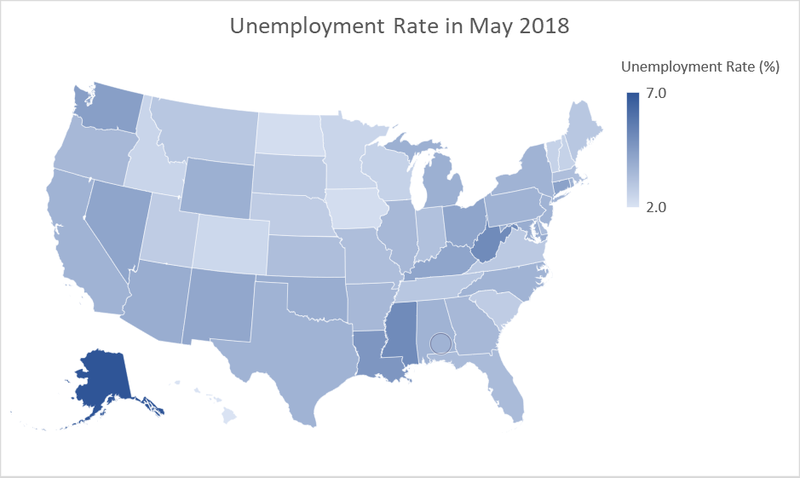 The U.S. Bureau of Labor Statistics data reveals that the U.S. unemployment rate has hit a new multi-year low four to eight months before the start of every recession since the 1940s. In other words, the economy hits full employment four to eight months before the start of a recession. The unemployment rate goes up at least 1% and then doesn’t go back down without a recession occurring. 22 out of the 28 Member States of the European Union (EU) currently have national minimum wages. The 6 countries in the EU that do not currently have any minimum wage level set are Denmark, Italy, Cyprus, Austria, Finland and Sweden. The private service sector in the United States now accounts for over 71% of all jobs given the growth in entertainment, tourism, healthcare and educational services. The exponential growth of the internet and people buying more experiences (like travelling or eating out) rather than buying goods means the goods-producing industries (like construction, manufacturing and mining) have seen a decline in jobs and now contribute less than 14% of all jobs. Government jobs have contributed around 15% consistently to the overall labour market over the past 50 years. Both the United Kingdom and the United States currently have record multi-year high levels of employment, yet wages haven’t kept up with inflation for the vast majority of people causing a real income squeeze. Although the U.S. recently reported the highest wage growth since the last recession most people don’t feel their wages are keeping up with rising prices. What is going on? 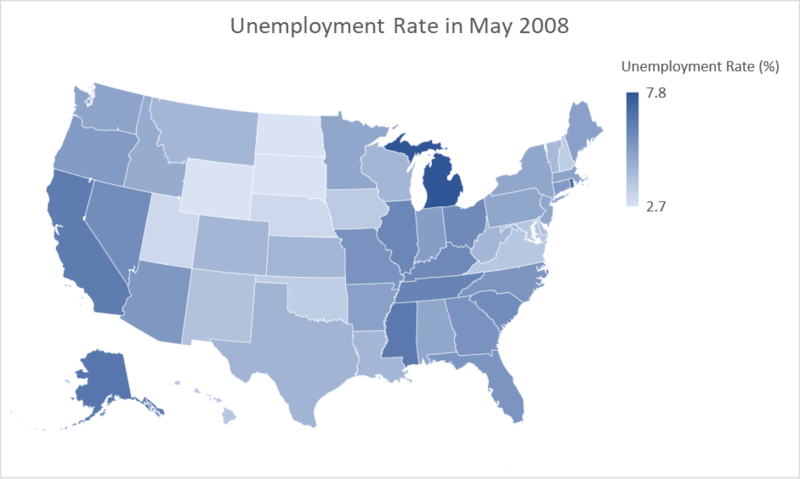 Some states in the United States have done exceptionally well over the past decade creating massive number of new jobs and reporting record low unemployment. There are reports of major labour shortages in at least some states currently. Those three U.S. recession indicators – how near or far are those from being invoked? We wrote recently about three slightly different U.S. recession indicators that have been predictive of the past few recessions. How near or far are those from being invoked? The 10-year Treasury yield has been greater than the 30-year Treasury yield three to six months before each of the past four. Currently the difference is just 19 bps. And the 30-year, 20-year and 10-year Treasury yields have almost converged three to six months before each of the past five recessions as well. The 20-year yield already 3 bps higher than the 30-year yield, they have been converging for the past two weeks. The biggest growth in jobs since 2007 in the United States has been in the Educational sector while most jobs have been lost in Manufacturing.